What CRM in Pharma and Biotech solution do you use? Veeva is a cloud-based Business Solutions for the Global Life Sciences Industry. MyMedLeads reduces the points of failure inherent in the medical industry's sales process, including not calling leads fast enough, insufficient follow-up and the absence of critical tools that track all the right information about leads. Veeva Medical Suite is designed specifically fo medical teams, empowering them to foster meaningful nad personalized scientific dialogues informed by a complete view of each stakeholder. RxVantage is an online service that strives to improve patient outcomes and enhance the relationship between medical reps and physicians' offices. Isoratec-CRM is a simple sales management tool that empowers you and seamlessly integrates your daily sales tasks , helping optimize internal processes by saving a great deal of time. Trueblue's Operational Suite is based on a proprietary CRM solution and on a set of innovative modules that fully meet the business needs of the companies operating in the pharmaceutical market. PRxCloud is a revolutionary cloud-based sales and marketing automation for Pharmaceutical Marketing & Distribution companies. Phyzii CRM is designed to enable medical managers to digitally detail medical content to physicians and manage other activities to improve effectiveness and productivity. * We monitor all Indegene Omnipresence reviews to prevent fraudulent reviews and keep review quality high. We do not post reviews by company employees or direct competitors. Validated reviews require the user to submit a screenshot of the product containing their user ID, in order to verify a user is an actual user of the product. Hi there! 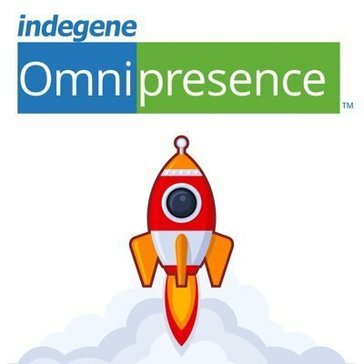 Are you looking to implement a solution like Indegene Omnipresence?